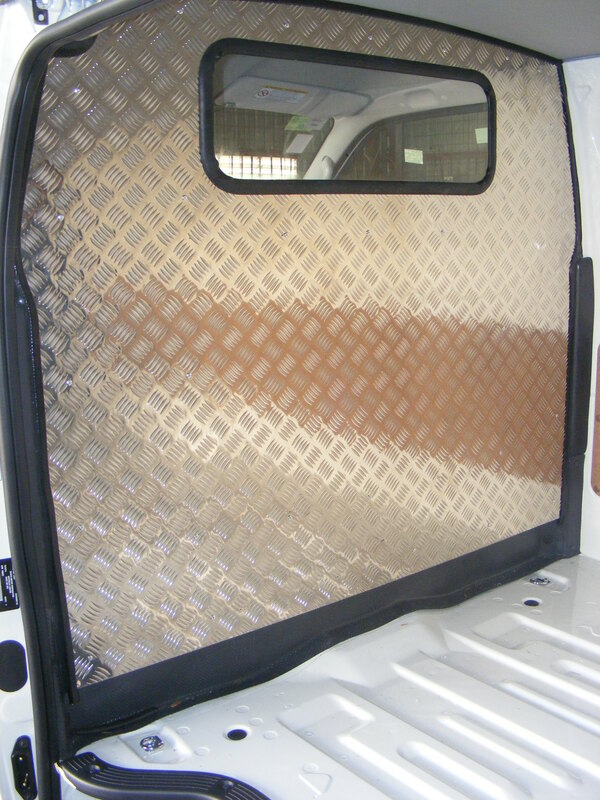 One of our most popular products for the rear floor area of vans. 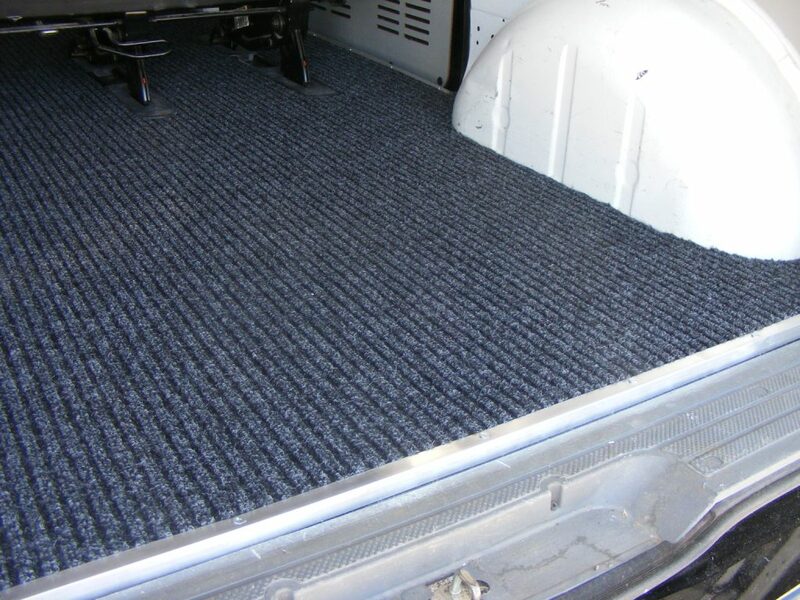 Inexpensive, our throw in rubber matting is extremely tough and durable, cut to shape, these mats are rolled out into the back of your van and fitted underneath all of the tie down points in the floor to provide excellent protection against the damage that can be expected in the normal life of a work van. The door step edge covers are re-fitted over the mat to prevent rolling up of the mat at these entry points. 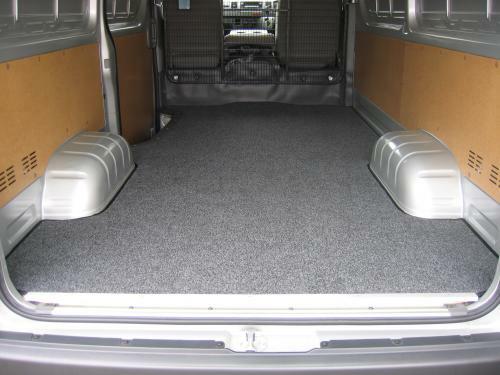 If you want to sell your van in the future, you can simply roll up the mat and you will still have a near new looking floor to add value to your van. 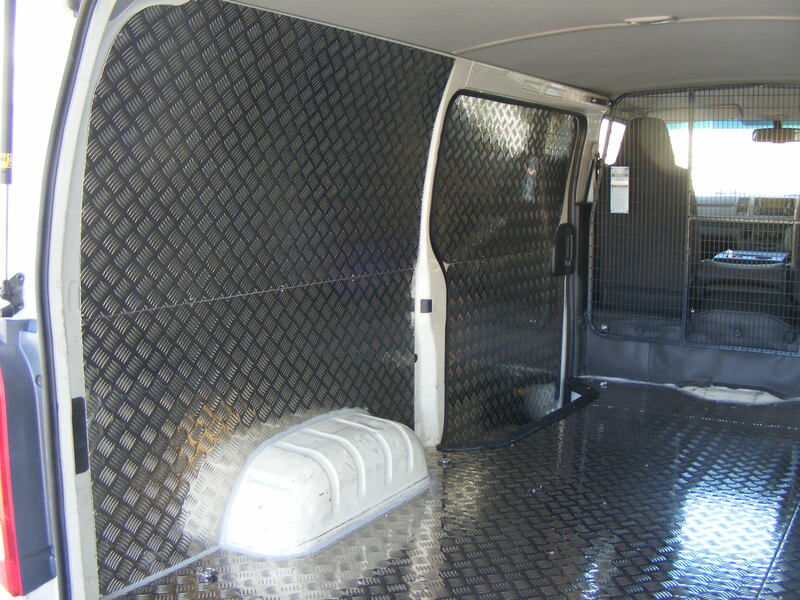 We offer 2 levels of rubber matting for vans. 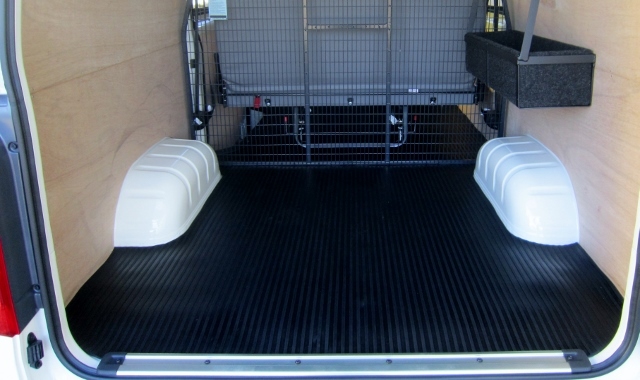 Our most tough and durable mat is made from high quality imported rubber and is fitted with both the cargo area and the bottom step as an optional extra. 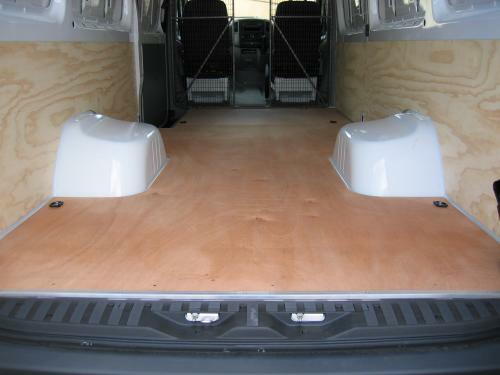 This is an excellent option to fit over a custom ply floor to provide the most durable and even surface in the rear of your vehicle. 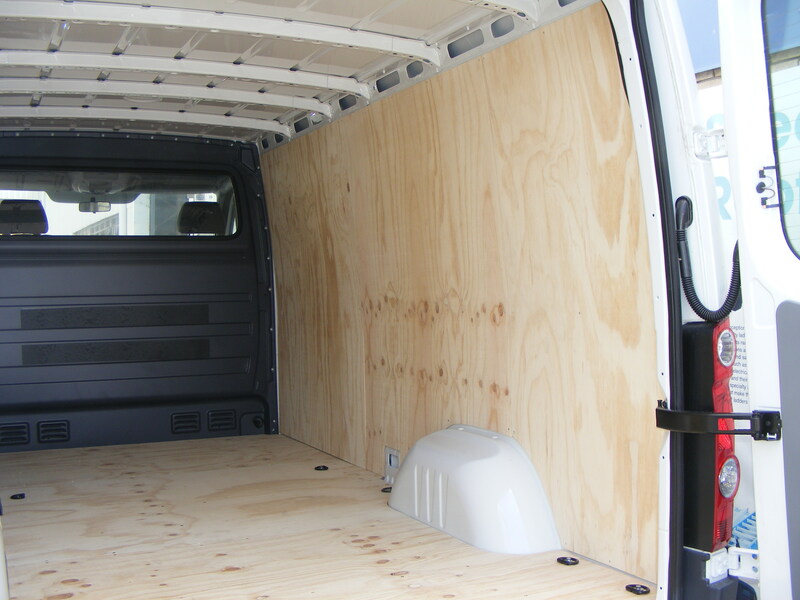 We recommended a 12 mm plywood floor to start the complete package for your van upgrade, it creates an even surface to build from and prevents cargo from causing damage to the floor of your van. The ply floors can be fully sealed for extra protection against anything falling or getting caught beneath the floor. This upgrade helps to reduce road noise from within the cabin. 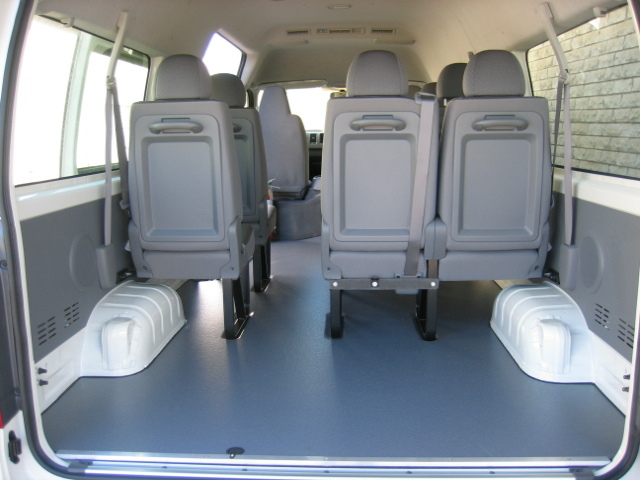 Our fitted carpet floor mats for both the front cabin and rear cargo area come fully bound around the edges. With a choice of different styles of carpet and colours we custom make to suit your needs. Altro is a premium industrial use Non-Slip floor covering that provides excellent traction properties under all conditions. This floor medium must have a plywood base to be fitted in a vehicle. The Altro flooring is laid to the walls of your vehicle and fully sealed to prevent small items and dirt from getting beneath it. Altro flooring is mostly suited to but not limited to applications such as Wheelchair or disability buses, Campervans and Taxis. Plywood protection can save you thousands when you trade up into your next van. The vehicle panels that make up the side walls of your vehicle are the easiest to dent or pierce from unrestrained cargo, leaving unsightly marks from the outside of your vehicle. The ply side panels offer a huge reduction in road noise from within the cabin. 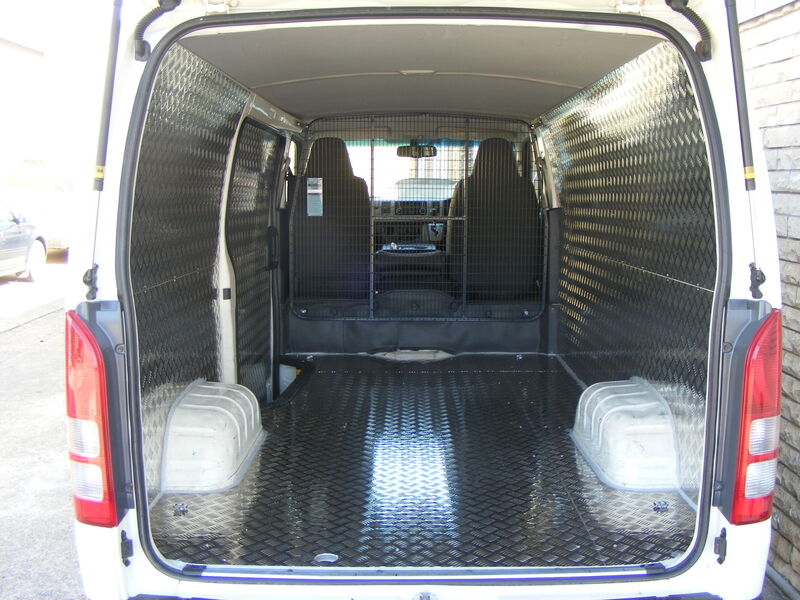 Cover the internal sections of your vehicle in ply panels floor to ceiling for full protection, panels can also be added to rear and side doors, and finished with the addition of carpet for extra durability and superior finish. Compliment your choice of flooring for your vehicle. This adds an exceptional quality finish while removing the ‘commercial look.’ The carpet aids in protecting the walls from small knocks and scratches as well as helping to reduce road noises. 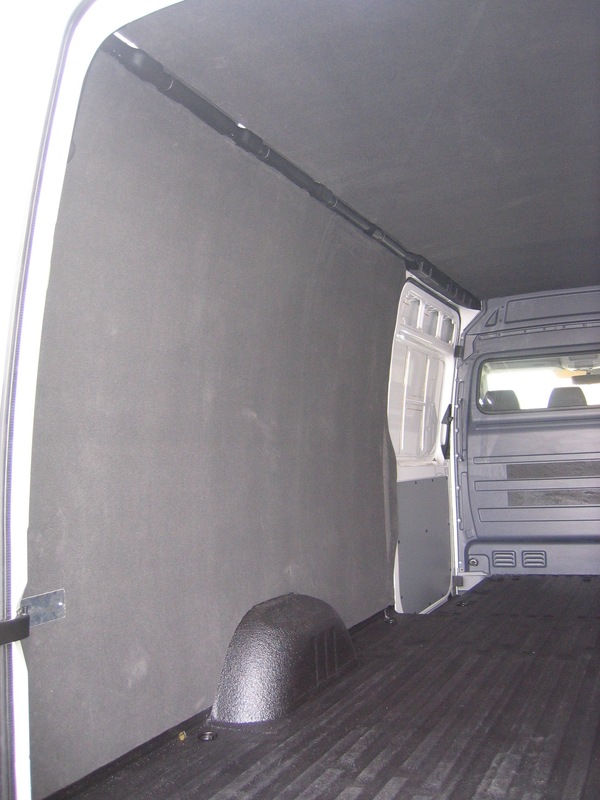 Insulation is a further option that can be fitted prior to the installation of side and roof panels making road noise non existent and giving excellent thermal properties to the vehicle interior whether you are trying to keep cool or warm. Alloy protection for Floors and Walls are great for that extra protection. Alloy offers easy cleaning and great for sliding items with wheels ect, with a nice flat surface ideal for loading boxes.